Whoops, the original title was poorly phrased. It's fixed now. ...unless it's a post-apocalyptic future in which the "magic" is actually rediscovered tech from our present. Religious/esoteric people still believe in magic as adults. And that shows in esoteric movies: invariably every problem is solved by deus ex machina. Because that’s magic, while good “magic” systems, whether past present or future, are actually alternative technology(*)--which by convention are called “magic” in past and “technology” in future settings, despite being equally impossible. (*)either that or it’s hardly relevant for the plot. 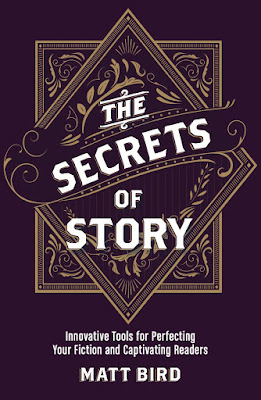 There are two ways to handle magic in stories: either it's a known part of the world or it's being discovered by the characters. Set your story in the past, when people really did believe in magic, and magic feels apt. Even a story about the discovery of magic works in the past, because again, the olden tymes expected that stuff to be real. Set it in the present and you can get a "world behind the world" story wherein magic is revealed or you can have the world we know but skewed by the presence of magic. The future, however, can't work either way. If the story is about the discovery of magic but set in the future, then there’s a resentment in the reader: they get to live in the future and discover magic? Why can’t we do it now? Why does it have to be the future? If the story has magic as a known part of the world, we've been cheated out of the big story: the arrival of magic. 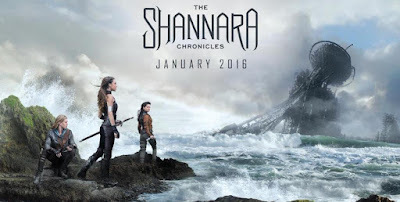 Even if the future is terrible, say you have a post-apocalyptic Shannara-style fantasy world with magic, again, you have to explain why the future is magical and the present is not and make that explanation satisfying. As you point out, “the magic is leaving or gone” is an easy emotional sell; “the magic is going to come (possibly after nuclear war)” is not. If you set a story in the future but have magic as a constant presence in history, so there’s no “discovery” period, then it feels indulgent. Crazy future super-tech and magic? Jerky, pick one. When Harvey talked about "the arrival of magic," it reminded me of 1970s movies about the arrival of magic, or the re-enchantment of the world. In the first STAR WARS movie, Luke doesn't know about the Force until Ben tells him; indeed, nobody seems to really know about the Force at all other than Ben and Darth Vader. The movie turns upon the re-introduction of magic into a sci-fi world that is otherwise junky technology and gleaming fascist edifices. It's about Luke learning to respect the old hidden magic that has come back into the world. In RAIDERS OF THE LOST ARK, the theme is again the re-enchantment of the world: Indy doesn't believe in magic, and the plot proceeds without magic, but at the very end magic comes back into the world and zaps all the Nazis. It's about Indy learning to respect the old magic that has come back into the world. In CLOSE ENCOUNTERS OF THE THIRD KIND, the kitchen-sink realism of the 1970s American is disrupted by an alien magic that flips over cars, causes disparate people to coordinate their movements and spontaneously produce representations of where the aliens will land, etc. And these aliens have visited us before. It's about people coming to terms with the old hidden magic that has come back into the world. All of these seem to be about the arrival of magic, about the re-enchantment of the world. And they all came out around the same time. I wonder what was culturally in the air at the time that caused this theme to resonate so strongly. Ah, the late Seventies/early Eighties. The post-Cold War era had been intense with ideology, fear, and hope. By the end of Watergate and the Vietnam War a lot of that had crashed into a heap of exhaustion and polyester. The boom times ended around 1973 and crime rates skyrocketed. The "yay America" crowd had to accept that the post-war order was no longer holding and that future peace and prosperity were in doubt. The "all you need is love" children had grown up to discover that nope, you need a lot more than that, and it still might not be enough. The "America: love it or leave it" crowd found out that there were limits to America's might and its cohesion. And of course there were all the people who were exhausted, frustrated, or disappointed already. @Harvey So, since we seem to be in a similar cultural moment, savvy storytellers should probably polish up their "this is not all there is" screenplays and manuscripts, right? Counterpoint: Adventure Time is pretty successful for a story about magic in the future. I've never seen "Adventure Time"! I should tackle that with my daughter soon. She's crazy about "Steven Universe" and apparently if you like one you'll like the other.